Bangladesh has agreed to sell a large stake in its stock exchange to a Chinese consortium, an official said Tuesday, rebuffing a rival bid from India that raised political sensitivities. 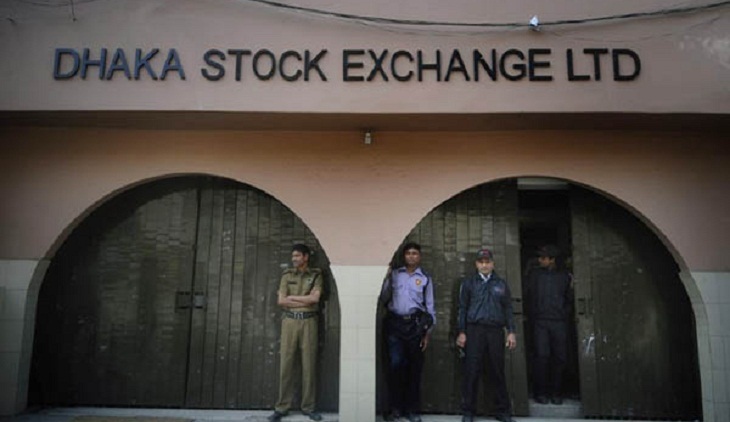 The Dhaka Stock Exchange on February 10 had approved the Chinese offer to buy a quarter of the bourse's 1.8 billion shares, but Bangladesh's financial regulator asked it to "further scrutinise" the decision. "The board has reconfirmed its decision about approving the Chinese consortium's bid as it is higher than its nearest competitor's," said stock exchange spokesman Shafiqur Rahman after the meeting Monday evening. The Mumbai-based National Stock Exchange had offered 15 taka ($0.18) per share during the tender process this month. China's Shanghai and Shenzhen stock exchanges made a joint higher bid of 22 taka per share, or $122 million, and offered additional technical support worth nearly $37 million. The intervention by the Bangladesh Securities and Exchange Commission in the sale sparked allegations in local media that it was trying to favour India. The Bangladesh office of Transparency International, the Berlin-based corruption watchdog, issued a statement "strongly condemning" what it called unethical and illegal meddling. The regulator -- which at the time defended its final authority to override decisions made by the stock exchange -- was not immediately available for comment. The competing bids have exposed tensions in Bangladesh as it juggles growing interest from China against longstanding ties with its huge neighbour India. New Delhi threw its weight behind the 2014 elections that returned Prime Minister Sheikh Hasina to power, despite boycotts by the opposition who feared the vote would be rigged. Prime Minister Narendra Modi's government has made big investments in Bangladesh and Indian companies have won multi-billion contracts in key sectors in recent years. But increasingly it must counter China, which has also courted India's arch-rival Pakistan and strategic Indian Ocean nations including Sri Lanka and the Maldives. Xi Jinping in October 2016 became the first Chinese president to visit Bangladesh in more than three decades, signing deals worth more than $20 billion.